In early 2017, Xiangwushuo founder and CEO Sun Shuo gave away a well cared for desk, originally worth thousands of RMB, to a neighbor. The desk appeared at a fruit stall near his apartment a few days later. The peddler told Sun he’d found the item at a garbage dump. Apparently, the neighbor had not wanted the desk, but was too polite to say no. The peddler had wanted the desk to sell fruit, but didn't know Sun no longer needed it. Inspired by this experience, Sun decided to create a platform that would better facilitate the exchange of secondhand goods. Before Sun founded Xiangwushuo in September 2017, there already existed a number of established secondhand goods trading platforms in China. The largest one is Xianyu, operated by Alibaba Group since 2014. Sun had tried to sell used items on the platform, but, for a person trying to close deals quickly, Xianyu proved inefficient. Sun is not the only one bothered by this problem. Not knowing whether friends or acquaintances would want their used items, many people simply throw stuff away that might be of value to others rather than haggling on secondhand goods trading platforms. In the summer of 2017, Sun created a WeChat group where he and his friends could exchange used items they didn’t want anymore. Friends invited friends, and, in less than a month, three thousand people had joined the group. Since WeChat groups are limited to 500 members, Sun realized a bigger platform was needed. 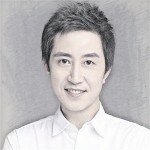 So he created Xiangwushuo, a WeChat mini program where users can exchange secondhand items for free. Instead of sellers and buyers, there are givers and takers. As user numbers climbed, the developers of Xiangwushuo realized quickly that some people were using the platform not as a means of exchange, but simply to amass as much free stuff as possible. To remedy the problem, Sun, who had worked for three years on virtual currency at Asia Miles, the travel rewards program of Hong Kong-based airline Cathay Pacific, decided to adopt a point redemption system. The points are called Xiaohonghua, which means “little red flower.” The name is a nod to the fact that, in China, teachers regularly reward pupils who perform good deeds with little red flower stickers. Givers could now assign a “price” in Xiaohonghua to their used goods. Takers, who also pay shipping, can only make purchases if they have earned enough little red flowers. Points can be earned by giving away secondhand goods or by performing tasks such as visiting the platform every day and inviting new users. New users automatically receive 200 starter points. 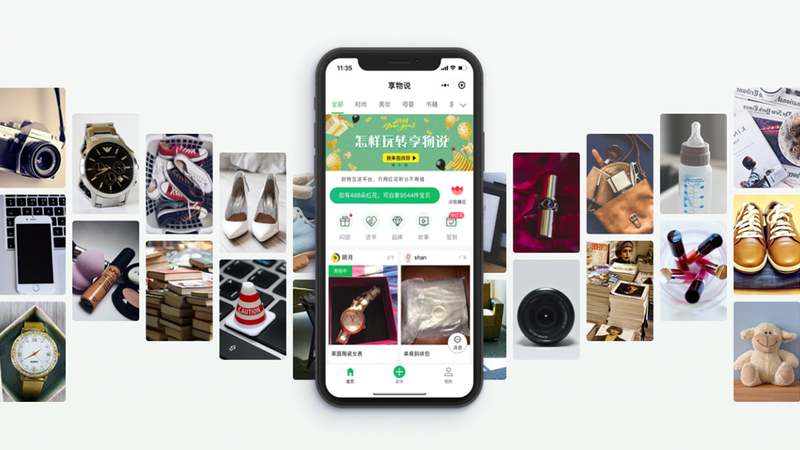 Xiaohonghua can’t be exchanged for money or used on other platforms besides Xiangwushuo, but the point system has helped the startup build a loyal and active user base. According to Sun, on average, each user who has closed a deal on Xiangwushuo brings in 10 new users. About half of new users return to the platform within a week after making their first exchange. Goods move at an enviable pace on Xiangwushuo. About 80% of used goods posted on the platform are taken within a week, and 90% of givers use the platform more than once. Even though Xiangwushuo is still exploring monetization strategies, the startup has not struggled for funds. In just one year, Xiangwushuo raised more than US$110 million. And investors are big names on the Chinese VC scene: IDG Capital, GGV Capital, Matrix Partners China and ZhenFund. ZhenFund founding partner Bob Xu has personally used Xiangwushuo to give away books, a designer sweater and a B&O sound system. “Some stuff that urban dwellers don’t want might be what those living in rural or remote areas dream of,” said Xu. Investors are attracted by Xiangwushuo’s unique trading system for secondhand goods. “The point redemption system helps reduce the friction in used goods transactions and acquire users,” said Li Haojun, vice president at GGV Capital, which participated in the startup’s Series A and A+ funding rounds in 2018. Rapid growth has helped Xiangwushuo draw this generous infusion of capital. Two months after its launch, it had already attracted 100,000 users. The number hit 1 million a month later. By December 2018, the WeChat mini program had 55 million users, with 25 million monthly active users. The startup is earning revenue, even if it does not yet have a firm business model. Other businesses are now trying to tap into the marketing potential of Xiangwushuo’s large user base. In May 2018, McDonald’s gave away 1 million cups of its new fruit tea to platform users. As of the end of 2018, more than 2,300 brands had offered giveaways through Xiangwushuo. Looking forward, Sun has said Xiangwushuo plans to explore other ways to employ Xiaohonghua with partners in sectors such as finance and retail. “For example, our partner retailers will give customers Xiaohonghua in exchange for purchases. These partnerships will bring our loyal users to these retailers, and, in return, we receive commission,” he said.